The gallbladder is an accessory structure that forms part of the digestive system. It is found just beneath your liver. It is very helpful in the process of breaking down food substances particularly fatty diets. This structure has a secretive role over fat digestion. It can become inflamed when stones form in it or when bile is produced in excess to the extent that its duct becomes blocked. The stones can equally block the duct. When this inflammation occurs, it is termed cholecystitis. 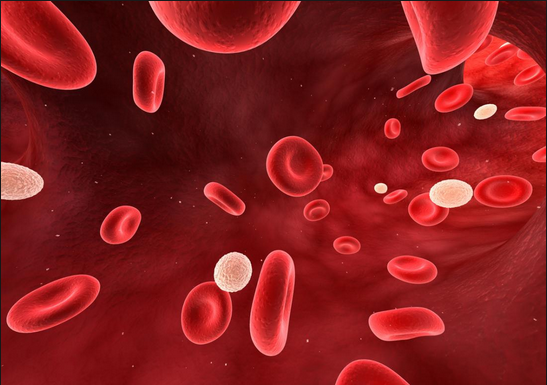 It is a medical state that could be very serious and will demand quick medical aid. When it occurs in a sudden manner, you will call it acute and when it persists for a very long time, you will call it chronic. The chronic form is associated with recurrent attacks for a very long period of time. But in this article, our focus is on its acute form. 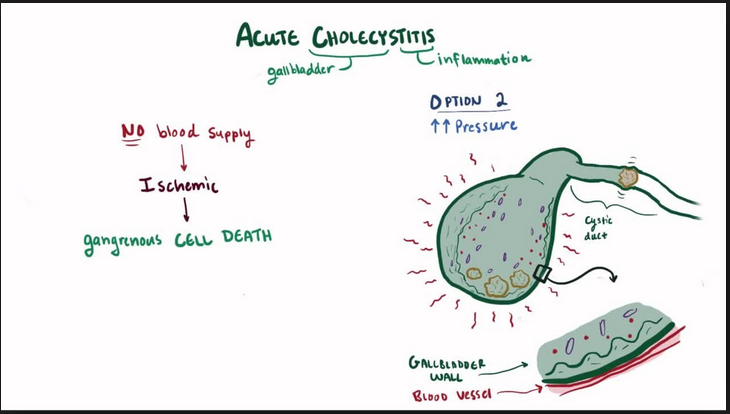 Formation of stones in the gallbladder is the top reason why acute cholecystitis will develop. These stones have the tendency to block the duct through which bile flow out into the intestines. When this blockage happens, bile will no longer be able to flow out of the gallbladder. It will accumulate in the gallbladder. Excess of that will prevent enough oxygen to reach the tissues of the gallbladder and hence, an inflammation will set in. Because women are special, they could as well be especially predisposed to having acute cholecystitis more than the male folks. Amazing right? I don’t think so. It seems that acute cholecystitis is also rampant amongst the aged or rather the older ones. There is no clear-cut explanation for this yet. It has also been found that this condition is a ‘racist’ or so it appears. This is so because it is quite common with the Native Americans, the Scandinavians, and the Hispanics. Middle and upper abdominal pains seem to be the quickest way of acute cholecystitis announcing itself. This pain can span for hours when it comes. And one funny thing about this pain is that it has the ability to travel to other areas of your body with a special love for the shoulder and the back. The pain may be dull or very sharp. Abdominal ultrasound: It uses sound waves to create an image of your organs. This is the most commonly ordered imaging test that’s used to diagnose cholecystitis. Hepatobiliary scintigraphy: It comprises images of your liver, gallbladder, the upper part of your small intestine and bile ducts. Cholangiography: It is the use of an X-ray to have a view of your bile ducts and gallbladder. CT scans: Here, a computer is used to get images of all the organs found in your body. A liver function assessment will also be undertaken to see whether your liver is working well or not. If the pains in the abdomen are excruciating, a quick treatment will be required. Don’t hesitate to see a doctor. Depending on the urgency of your case, you might be hospitalized for the sake of monitoring your progress. You might have to be fast for the time being when you are undergoing treatments. Besides, it is a way of ‘giving’ rest to your gallbladder. It is also possible for you to be given an intravenous fluid to place a check against dehydration. Pain medications will also form part of your treatment regimen. To deal with the inflammation, you will be given antibiotics. If the acute case has advanced to the chronic form, you might have to be operated upon to bring out the gallbladder. This procedure is called cholecystectomy. The gallbladder can also be removed via an open surgery or a laparoscopy. If your gallbladder is removed, you can still digest your food. But as part of the surgery, bile will be rechanneled straight to your intestine where it is actually needed to break down fat. Weight loss especially if you are overweight will be a great way of reducing your chances of having acute cholecystitis. But it has to be done gradually as doing it very suddenly can also predispose you to have gallstones. And if you are not overweight, cultivate a healthy eating habit. This is so because too much fat and cholesterol in the body can promote the development of stones in the gallbladder. Your doctor can always guide you on how to go about managing your weight. You will be helped to develop a weight loss regimen that is most suitable for you.